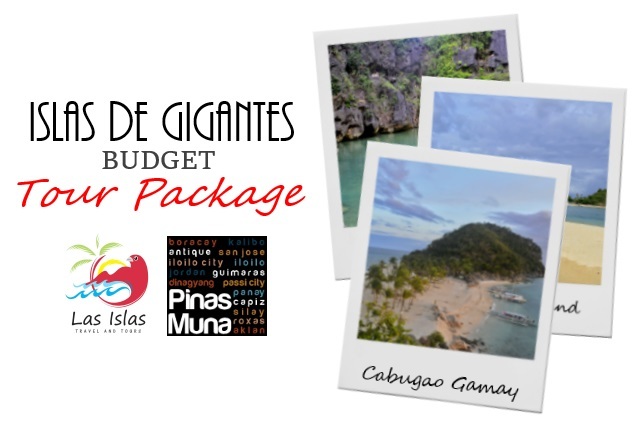 Islas de Gigantes is now a popular travel destination in Northern Iloilo which has become more accessible through tourism infrastructure projects, enabling the private sector to provide affordable and hassle-free day tour packages to these beautiful islands. 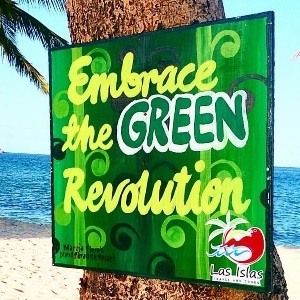 In partnership with Las Islas Travel and Tours, a Roxas City-based tour operator, Shecen and Francis of Team #PinasMuna were able to spend a fun-filled weekend in Roxas City and joined a group of travel bloggers to experience Islas de Gigantes. 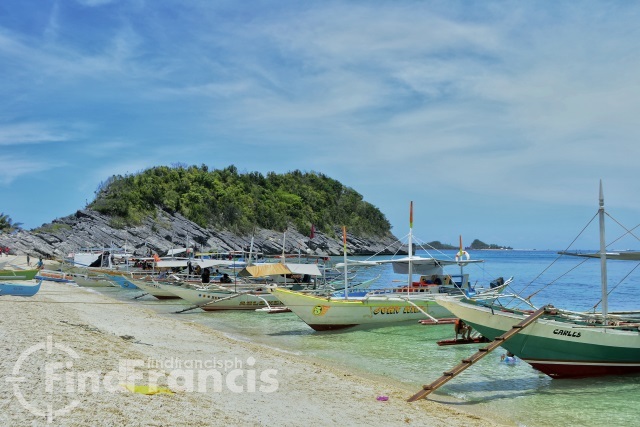 Although located in the northern part of the province of Iloilo, Islas de Gigantes is geographically closer to Roxas City, the capital of the province of Capiz. Both Cebu Pacific and Philippine Airlines serve daily flights between Manila and Roxas City. 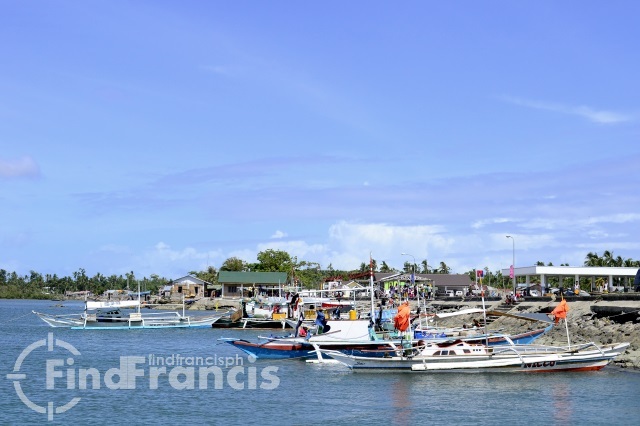 If you are coming from Boracay, you will definitely pass through Roxas City first before you get to Islas de Gigantes. From Caticlan, you can take a van going to Kalibo (P100.00) and from Kalibo take a van going to Roxas City (P120.00). Total travel time is approximately four hours. Tour participants will meet at 6:00am at the office of Las Islas Travel and Tours located in Pueblo de Panay, Roxas City. After registration and briefing, the private van will leave at exactly 6:30am for Bancal Port in the town of Carles. Road travel would take about 1.5 hours. At the port, tour participants will then transfer to the a private boat that will bring them to Islas de Gigantes. Boat ride will take another 1.5 hours. 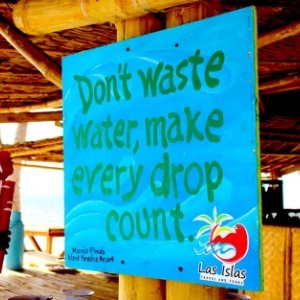 Okay, before we start with the tour, here are some reminders from Las Islas Travel and Tours about Responsible Tourism. 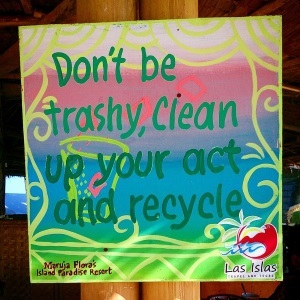 Let's do our part to keep Islas de Gigantes clean so that more of our kababayans can enjoy its natural beauty. The day-tour has four stops and itinerary is pretty flexible. But usually, the first stop would be at Cabugao Gamay Island. 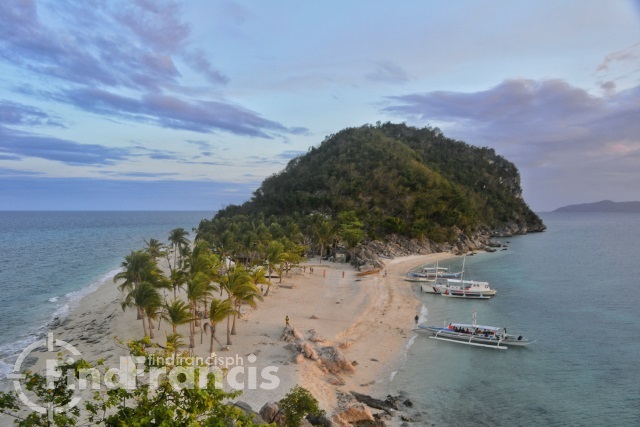 It is the most photographed spot of Islas de Gigantes simply because it is the most picturesque in my opinion. The island features a twin beach with a hill on the southern end while a rock formation located on the north end of the island serves as a view deck where the postcard perfect shots of the island is taken. 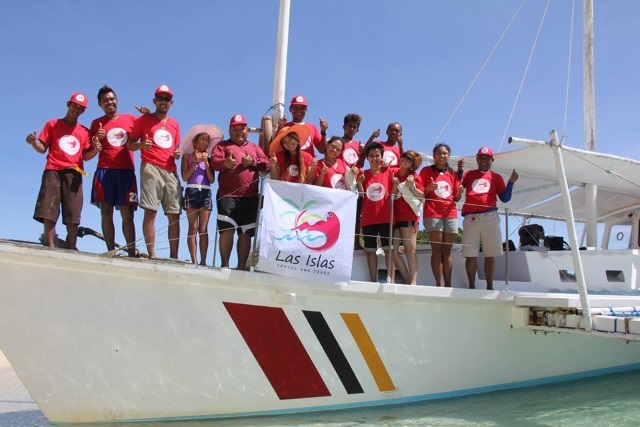 Tour participants will be given enough time to take photos and enjoy the beach while the Las Islas crew prepare lunch. 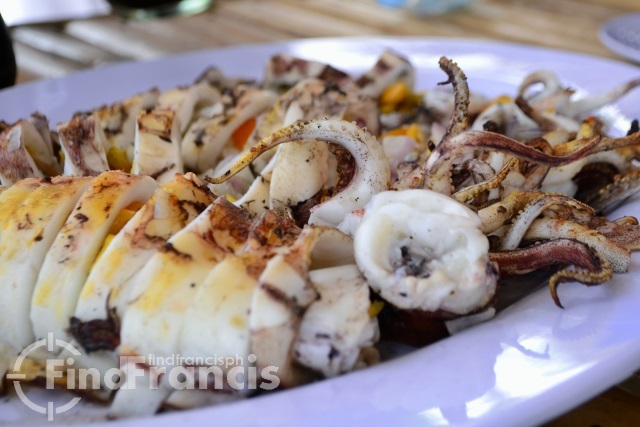 Lunch at Islas de Gigantes means you'll eat a lot of seafood. Fish, prawns and squid are caught fresh by local fishermen, so seafood here can't get any fresher! 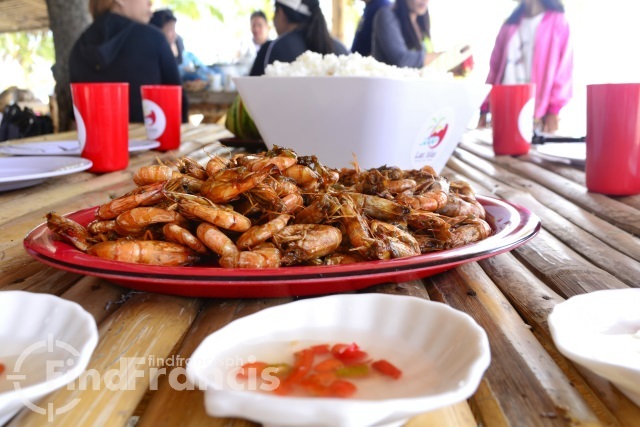 Forget about the spoon and fork, here at Islas de Gigantes, we do it Pinoy style! If you are allergic to seafood, or certain types of seafood, just inform the Las Islas team beforehand so they can prepare something for you. 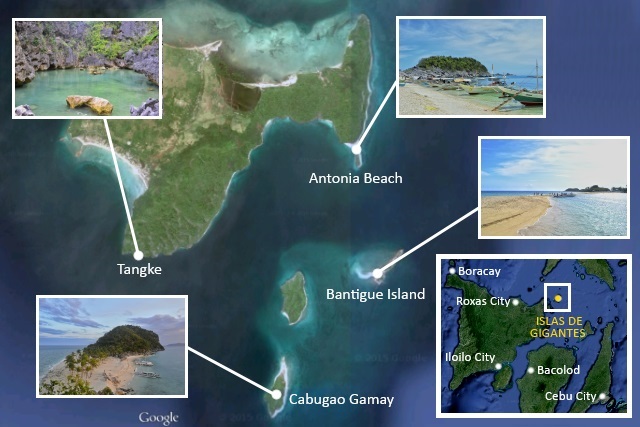 After the sumptuous lunch, the tour will proceed to the next stop, Bantigue Island. Main attraction of the island is the S-shaped sandbar which appears during low tide. Tour participants will again have the chance to swim in the clear waters of the sandbar. Remember I said earlier that you'll eat a lot of seafood here? 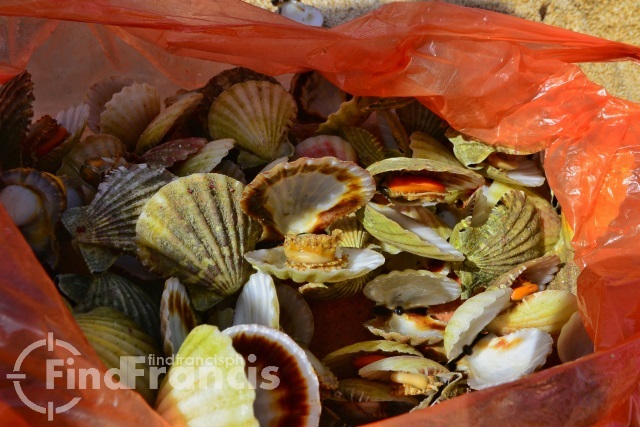 You shouldn't leave Bantigue Island without trying Steamed Scallops which you can buy for only one peso (P1.00) per piece. This is one Piso Sale you shouldn't miss! 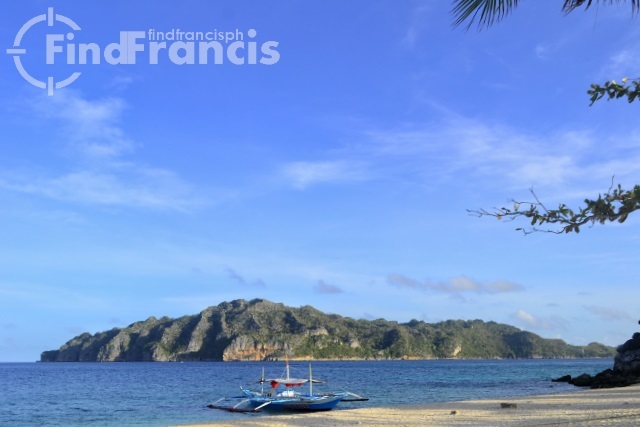 Third stop is Antonia Beach which is part of the main Gigantes Sur Island. 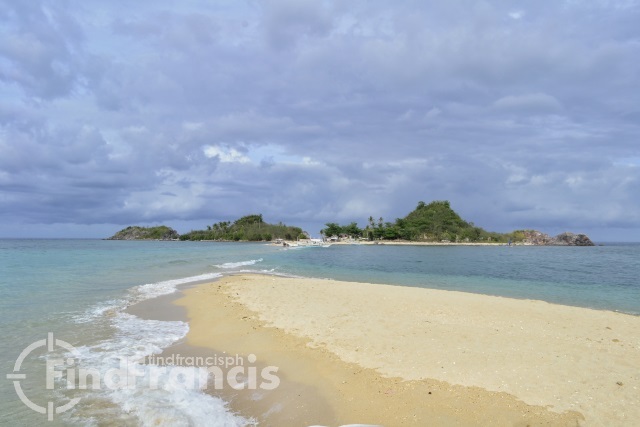 Just like Cabugao Gamay Island, Antonia Beach also features a twin beach. Another dominating feature of the beach is the massive rock formation which extends to the sea. The clear turquoise water is perfect for swimming, only when the beach is not full of boats. Just to set the expectations, Antonia Beach can really get crowded, especially during lunchtime. 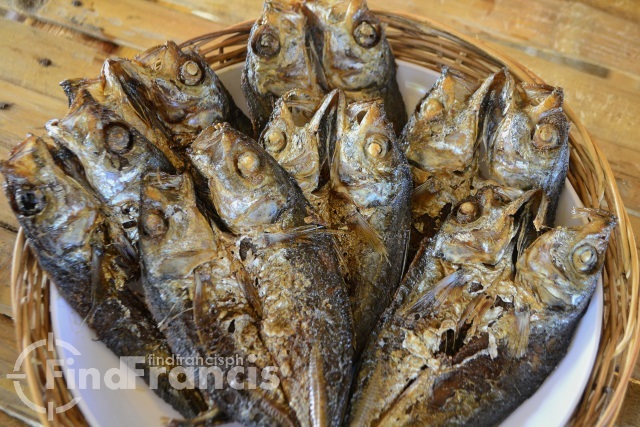 More than the beach itself, the highlight of Antonia Beach is the local delicacy called Wasay-Wasay. It's a type of shellfish (Yes, seafood again!) 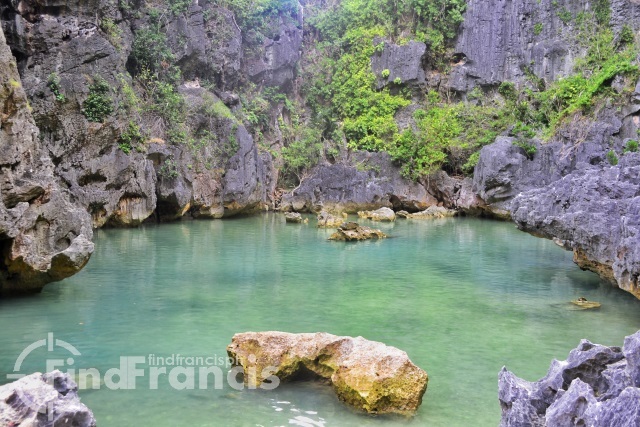 that can only be found in the waters of Islas de Gigantes. 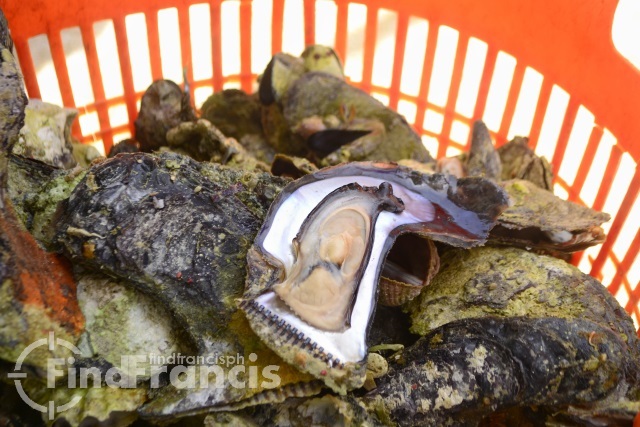 An basket of fresh Wasay-Wasay costs P200.00 and is served steamed. Bon Appetit! 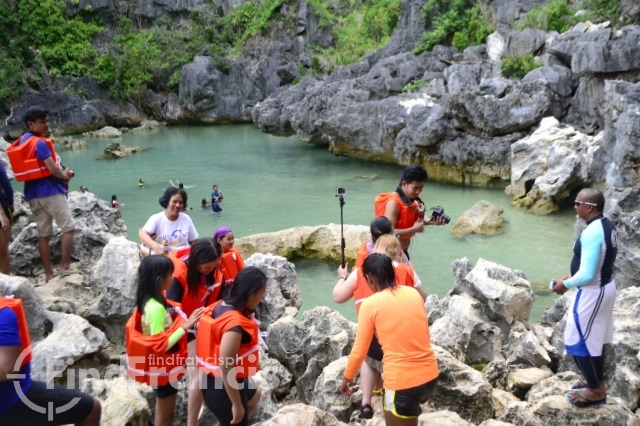 The fourth and last stop of the tour is this natural pool locally called Tangke. Formed like a tank of water with limestones serving as its wall, Tangke is also a favorite spot for swimming, especially during high tide when the water is deeper. The photo above shows Tangke as a "secret" lagoon. I guess someone talked too much, it looks like this secret lagoon is no longer a secret. During high season, it is said that Tangke can get really crowded. But I don't mind, the crowd doesn't really bother us. Just enjoy every moment of the tour and don't think too much of getting postcard perfect photos. So there you have it. 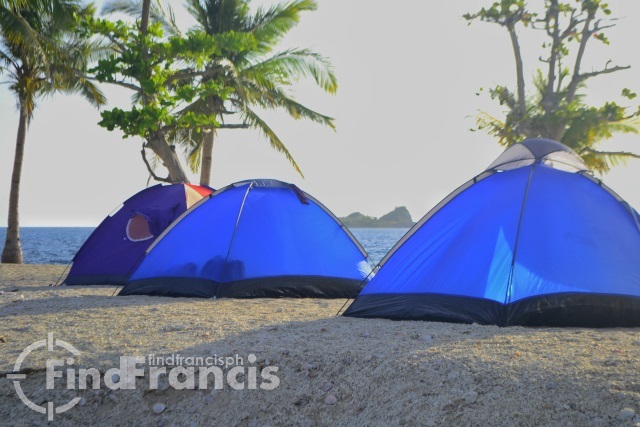 It has been a whole day of fun at Islas de Gigantes. 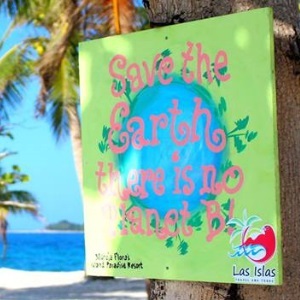 If you feel that a day-tour is not enough for you to fully experience the islands, you can also book an Overnight Package with Las Islas Travel and Tours. For a closer-to-nature experience, you might want to spend the night in a tent. 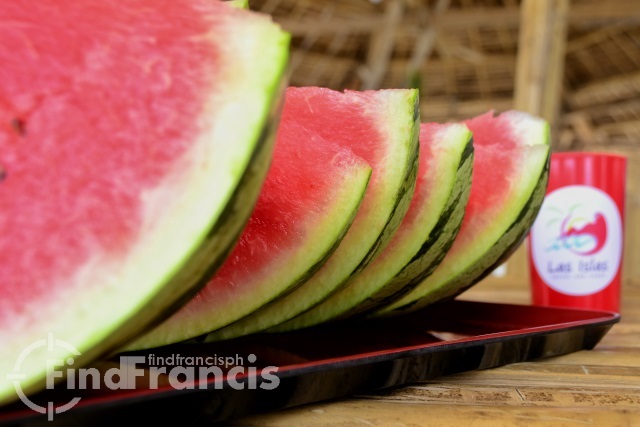 Disclaimer: Photos used in this article are owned by Francis Biera unless bearing the Pinas Muna watermark or otherwise stated. As a Pinas Muna Regional Contributor, Francis Biera authorized pinasmuna.com to publish his photos. very informative post :) Thanks!